It was taken during the Courses de chiens de traîneaux … sled dog races … near the little town of Saignelegier, in the Swiss Jura. This is a big event, held every January’. Before the race began I trudged through the snow with my camera gear on my back until I found a place where the light was reasonable (i.e. not straight into the camera lens) and the track went around a sharpish bend. I positioned myself exactly on the bend looking straight down the track, set up a tripod and mounted my camera on it with a 300mm telephoto lens. Still before the race began I took a few test shots to check that I’d got the exposure right. I didn’t want to rely on the camera’s automatic exposure as this is a predominantly snow scene. The large areas of brilliant white would fool the system which would shut down the aperture to compensate. Result – the snow would have come out a dirty grey. Don’t trust your camera in situations like this. 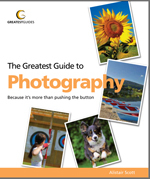 I took the reading it gave it plus one stop of exposure compensation. I also switched off the autofocus and focused on a pre-set spot (where the shadow crosses the track). Then I just waited for the dogs. As soon as a team crossed my pre-selected ‘shadow marker’ I took a photo. Incidentally, the dogs in this team are ‘greysters’, a cross between the German Shorthaired Pointer (GSP), the Greyhound, and the Alaskan Husky. 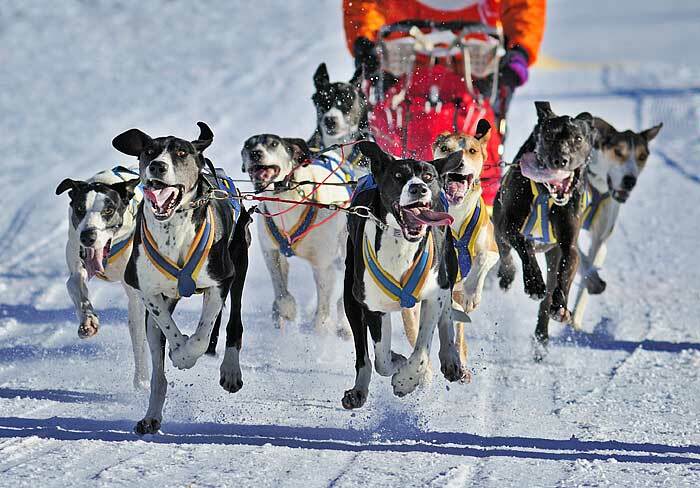 These dogs are bred specifically for the purpose of sled racing and similar. They get their endurance from the husky, speed from the Greyhound and their enthusiasm from the GSP, making them very well-suited for these sports. Apparently they also make wonderful pets. Great pic, but a greyster is a cross gsp x greyhound with no alaskan husky blood. The eurohound does contain gsp and husky blood but that’s a different ‘breed’.